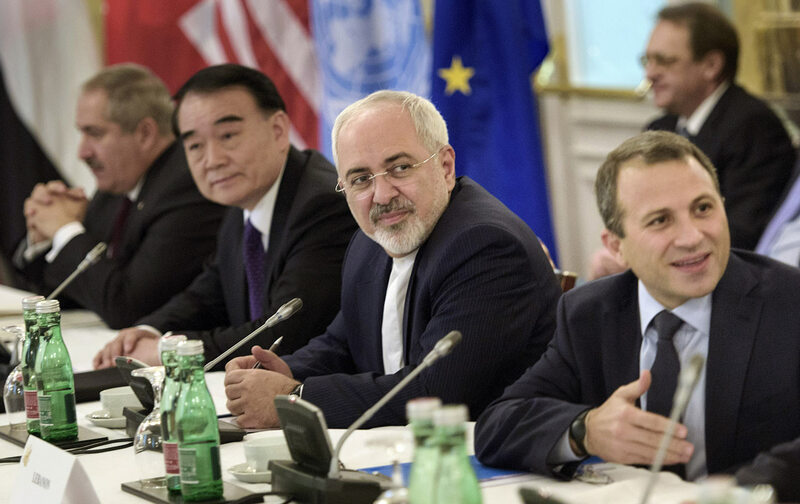 Will Iran Abandon the Vienna Peace Talks on Syria? Its invitation was unprecedented—but Tehran’s attendance may fall victim to the regional proxy war with Saudi Arabia. Iran is considering whether to come back to the Vienna talks on Iran in two weeks, according to Deputy Foreign Minister Hussein Abdollahian. He complained that Saudi Arabia’s behavior this past weekend had not been constructive and warned the kingdom “not to test the patience of the Islamic Republic.” Saudi Foreign Minister Adel al-Jubeir was accused by Iranian officials of lecturing them about interfering in countries of the region, of being rude and sarcastic, and of insisting on the immediate overthrow of Syrian President Bashar al-Assad. Iran’s position is that the Syrian people should decide on Assad’s fate, not outsiders. On Monday, Iranian President Hassan Rouhani upbraided Jubeir without mentioning his name, saying, “An inexperienced young man in a regional country will not reach anywhere by rudeness in front of elders.” Jubeir is the first commoner to serve as Saudi foreign minister, a post that had usually been held by a prominent prince. Abdollahian said that in the seven hours of talks, the Iranian team had wanted to address how to hold elections in Syria that met international standards, how to ensure that they were not tainted by vote-buying by outside countries, and how to defeat the threat of terrorism. Instead, he said, Foreign Minister Mohammad Javad Zarif and his colleagues were subjected to a barrage of sarcasm and invective by Jubeir. Abdollahian said the latter’s lack of evenhandedness ill suited a minister of foreign affairs. That Iran was invited to be at this past weekend’s Vienna international summit on Syria at all was unprecedented. Since the 1979 Islamic revolution, Tehran has been isolated diplomatically except in the Global South. The invitation was said to have been forced by the Russian Federation and to have been opposed by the United States. Iran’s attendance had the effect of setting aside some of the principles of Geneva I, which had called for a transitional government to oversee elections. Instead, Russia and even Secretary of State John Kerry are now talking of allowing Assad to remain in office until new elections are held, sometime in the next two years. Saudi Arabia vehemently rejects this scenario, but Iran insists on it, and came out of the summit angry at Riyadh’s intransigence. Syria is only one arena of contest between Iran and Saudi Arabia, who are conducting a regional cold war with each other. In Bahrain, the restive Shiite majority is being brutally repressed by the Sunni monarchy, with Saudi support. Bahraini Shiites are mostly Arabs and they adhere to Akhbarism, a conservative school of law in Twelver Shiism that disallows blind obedience to ayatollahs. They are not puppets of Iran, and their unrest is not primarily inspired by Iran but rather by a desire for more power for the majority community. Saudi Arabia and Iran routinely trade insults over their treatment. In Iraq, Iran backs hardline Shiite militias that scare Saudi allies among the Sunnis (though most of the latter are now under Daesh—ISIS or ISIL—and so beyond Riyadh’s ability to help them anymore). In Yemen, Riyadh has a crackpot theory that the Zaidi Houthi militia tried to take over the country mainly because of Iranian plotting. In fact, the Houthis are largely an indigenous movement. Saudi Arabia and its Gulf allies have invaded the country and intensively bombed its Shiites, provoking howls of rage from Tehran. In Lebanon, as well, the Shiite Hezbollah party-militia is in a contest with the Saudi-backed Sunni Hariri clan for dominance of national politics. The barbs directed at Iran by Jubeir in Vienna welled up from Saudi fear that the kingdom is being surrounded by Iranian proxies. The bland communiqué issued at the end of the Vienna meeting on Syria called for secular government in Syria and equal rights for all citizens, as well as for democracy. Few of the attendees are acting as though these are their goals, least of all Iran and Saudi Arabia. Riyadh is supporting hardline Salafi militias, such as the Freemen of Syria (Ahrar al-Sham), who have renounced democratic elections and will only suffer religious minorities as second-class citizens. The Freemen have unabashedly formed a coalition with Al Qaeda in Syria, the Support Front, and inevitably some Saudi and American money and weapons are leaking to this ally of convenience. The Support Front (Jabhat al-Nusra) reports to Ayman al-Zawahiri, a mastermind of the September 11 attacks on the United States and the leader of core Al Qaeda after Osama bin Laden’s death in 2011. Iran, on the other hand, is backing the Baath Arab Socialist government of Assad. Although a secular party, its upper echelons are disproportionately populated by members of the Shiite, Alawite religious minority. Ironically, Tehran is behaving as a status-quo power in Syria, opposing a popular Muslim uprising that resembles its own 1979 revolution except for its sectarian coloration (the majority of Syrian rebels are Sunni Muslims, whereas Iran is largely Shiite). Iran’s talk of elections is disingenuous. We have seen the kind of elections the Baath Party holds on several occasions, and they aren’t exactly free and fair, nor does the president ever lose (or else). Assad’s minions have committed extensive war crimes, including indiscriminately bombing civilian neighborhoods and torturing several thousand prisoners to death. Neither the Saudi plan for Syria (a Taliban-like Salafi emirate that apparently would tolerate Al Qaeda affiliates) nor the Iranian one (the Baath Party Stalinism-lite status quo) is very appealing, and few Syrians actively want either one. The shouting match at Vienna was over whether Assad had to go immediately, to be replaced with a Sunni figure, or whether he would remain in office and face elections. The likelihood is that some faction in Syria will ultimately win a military victory on the ground that dictates the political outcome. But sometimes, as with Lebanon in 1989, a civil war can be negotiated to a fragile peace. The best the Vienna process can hope for is to cut some years off the fighting and get a negotiated settlement (preferably a much better one than the Taif negotiations of 1989 provided to Lebanon). The best outcome would be a decentralized Syria with strong provincial governments and a weaker federal state, where elected members of Parliament from among the Sunni fundamentalists, the secularists, the Kurds, and the Alawites, and other minorities could trade horses and make compromises, Tunisian-style. Ironically enough, stolid Saudi Arabia is too revolutionary, and fiery Iran too status quo–oriented, for either to be very helpful in achieving this resolution to the world’s worst crisis.